Mosaic Connect Events 2018 Announced! The dates for our annual end of year Mosaic Connect events are now confirmed. Taking place in London, Manchester, Birmingham, Leeds and Glasgow, all events are free to attend and open to all. Tickets are available now. 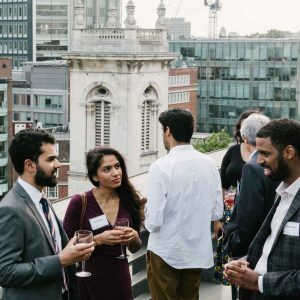 These regional networking and celebration events are aimed at bringing together and connecting the different components that make the Mosaic Initiative and mentoring programmes at The Prince’s Trust such a success. The theme of the events is Relatable Role Models. The Prince’s Trust draws upon the power of relatable role models to promote success in young people from all backgrounds. There bears no steadfast rule to what a young person might constitute ‘relatable’ and as such we want to utilise and continue to promote a multi-dimensional definition of ‘relatability’. We looking forward to receiving guests on the night that will include a room full of our mentors, teachers, beneficiaries and supporters. All those in attendance will have the opportunity to hear about how Mosaic mentoring benefits young people and mentors alike. This together with having the opportunity to meet some of the most incredibly influential people in your region Mosaic Connect promises to be an evening not worth missing. We are particularly keen for others to learn about the Mosaic Initiative and our mentoring opportunities and so kindly encourage guests to bring a friend along to the evening who may not have participated in our Mosaic programmes previously, or who is new to Mosaic and the work that we do.